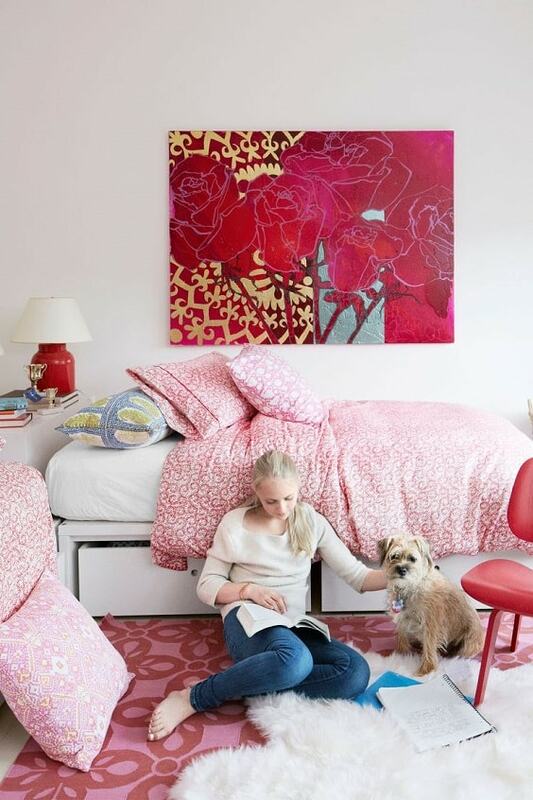 Adding some earthy elements to your bedroom decor is always a good idea to consider. 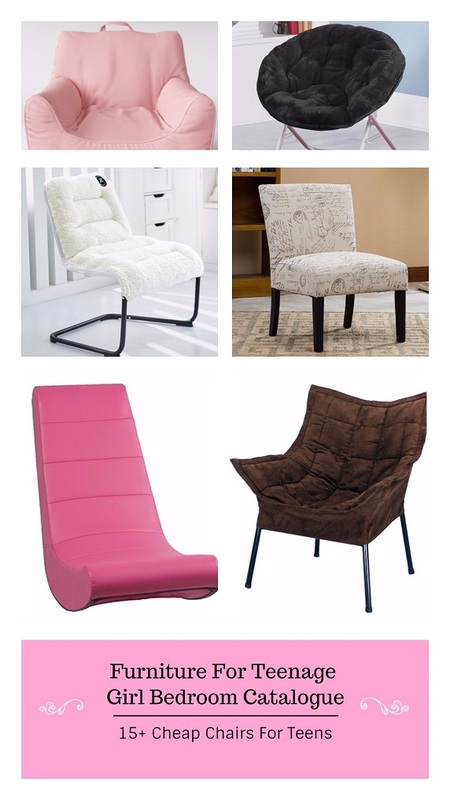 They will give a beautiful natural touch to style up the overall look of your bedroom. The earthy elements will add gorgeous textures and patterns which will surely enhance the attractiveness of a bedroom decor. 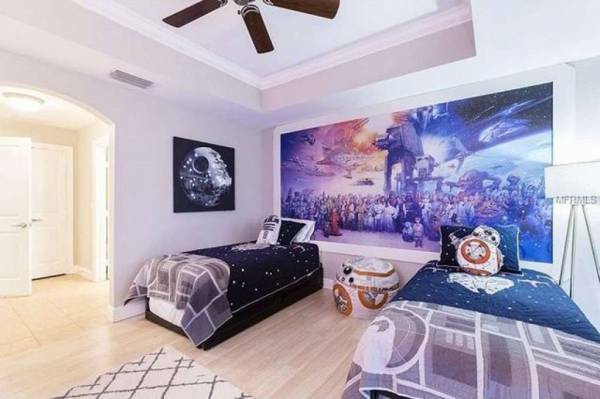 Moreover, they will also create a very cozy atmosphere that will make you love to stay around the room all the time. One of the materials that will attractively decorate your bedroom is wicker. It has a beautiful texture and pattern that will never fail to make your bedroom look and feel inviting at the same time. There are tons of pieces of bedroom furniture, accessories, and decor items which are made of wicker that you can pick to decorate your bedroom. 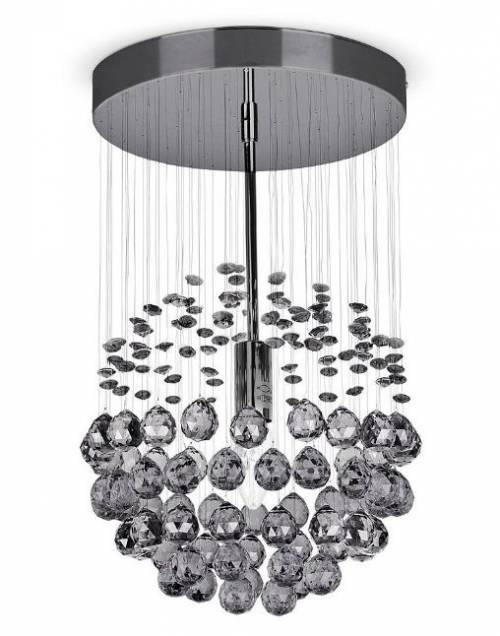 They are offered at various designs, prices, and specifications that may a little bit confuse you. Therefore, we have picked some recommended wicker bedroom furniture which are made of high-quality material and designed beautifully. They are so worth to add to your shopping list when you are about to give some enchanting earthy touch to your bedroom decor. 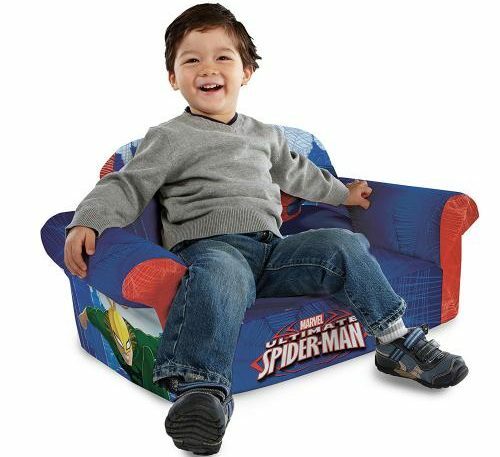 Well, let’s just keep scrolling to check out our best picks of wicker bedroom furniture products! This is a superb bedroom set which contains stunning pieces of bedroom furniture made of high-quality wicker. 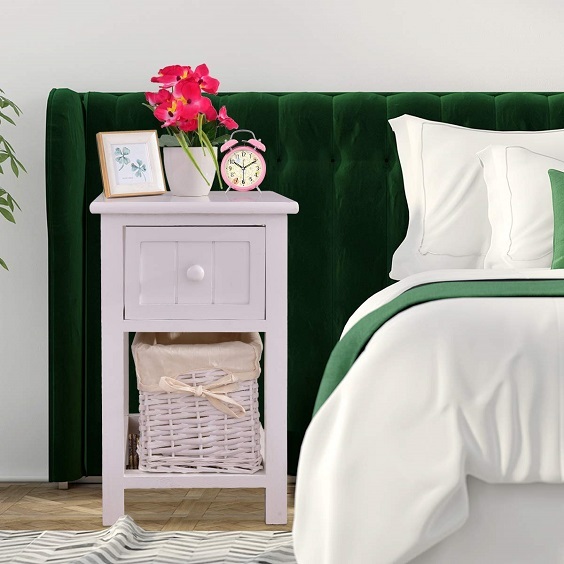 You will get 1 bed frame, chest, nightstand, dresser, and mirror which are designed in traditional style which will create an exhilarating tropical vibe inside your bedroom. The set is all made of real rattan which feels so well-made. 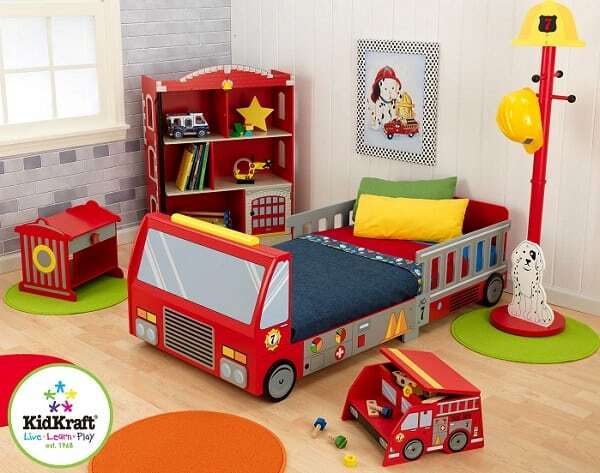 It’s definitely a durable natural bedroom set with great durability. You can find the Jovani Panel 5 Piece Bedroom Set by Bay Isle Home on Wayfair which is offered at $3,199.99. 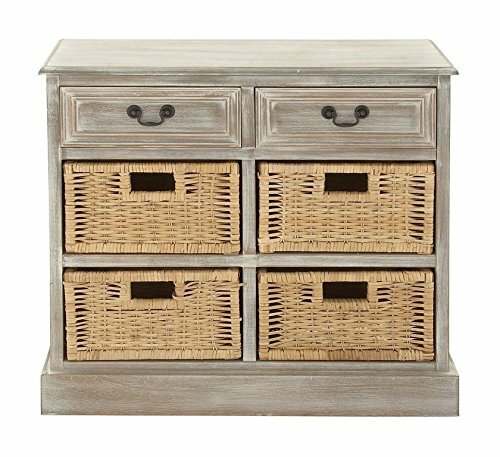 For you who want to add some practical storage stations made of natural material, this stylish wicker bedroom trunk is a good option to buy. The set includes 3 trunks with all-wicker design that will add a nice earthy touch to your bedroom decor while works well to be some convenient storages to store your stuff. The trunks are all made of 100% wicker with a good quality that will not disappoint you at all. It feels sturdy and provides ample storage to keep your bedroom stuff neatly arranged. 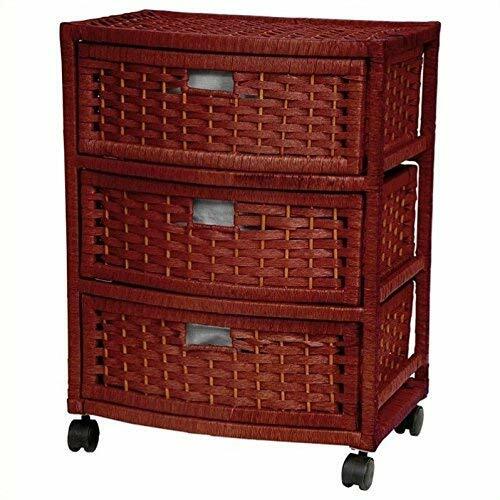 The Set of 3 Woven Wicker Storage Trunks Chest by VonHaus is available on Amazon with $159.99 price tag. A fabulous wicker bedroom furniture set that will become a striking focal point of the room’s decor. The set includes 1 bed frame and 1 storage trunk in transitional design with a very attractive natural look that will bring the style of your bedroom decor to a whole new level. The main materials that build each piece of the furniture are solid wood and woven banana leave. The wood builds its inner construction while the banana leaf wraps its frame. Such combination creates a nice earthy overall look that everyone will adore. 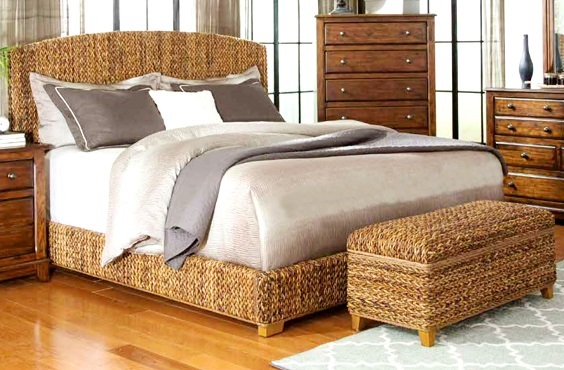 Available on Overstock, the Hand Woven Banana Leaf Bed with Storage Ottoman by Modern Country Style is offered at $1,702 up to $2,228 based on the bedding size that you prefer. 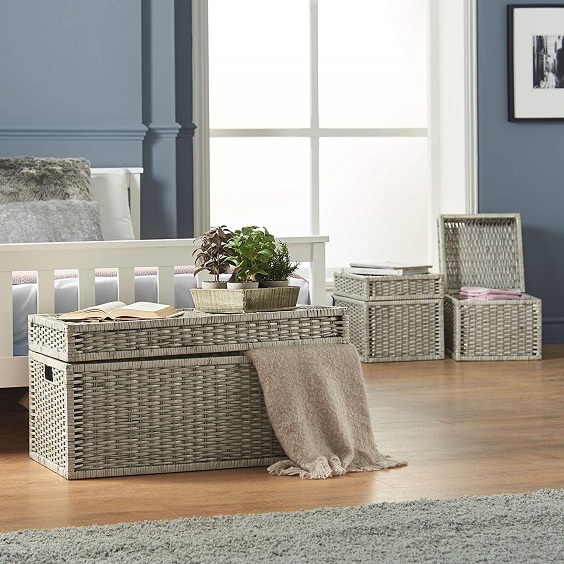 The fascinating wicker bedroom set in classic design which is perfect to complement a traditional bedroom decor or add another style to the modern one. It includes 1 bed frame, 1 nightstand, and 1 chest in mesmerizing decorative design which is the combination of some natural materials. Yeap, the set is made of three materials which are natural wicker, mahogany solids, and veneers. They don’t only make the design look uniquely attractive but also builds the sturdy construction with excellent durability. To buy the Dessie Platform 3 Piece Bedroom Set by Beachcrest Home, you have to spend $1,479.99 on Wayfair. 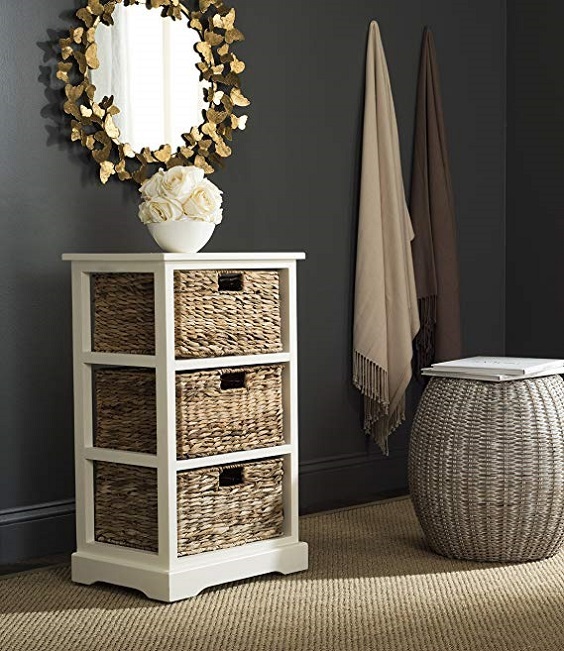 This one is a side table with 3 wicker baskets which works well to complete the storage inside your bedroom. With a distressed finish of the table and earthy style of the wicker baskets, this wicker bedroom furniture will beautify the room’s decor in a very admirable way. Pine wood is the main material which builds the table construction and the baskets are made of high-quality wicker. It’s definitely a durable wicker bedroom furniture that will not disappoint you. The Halle Distressed White 3 Wicker Basket Side Table by Safavieh is offered at $92.99 on Amazon. 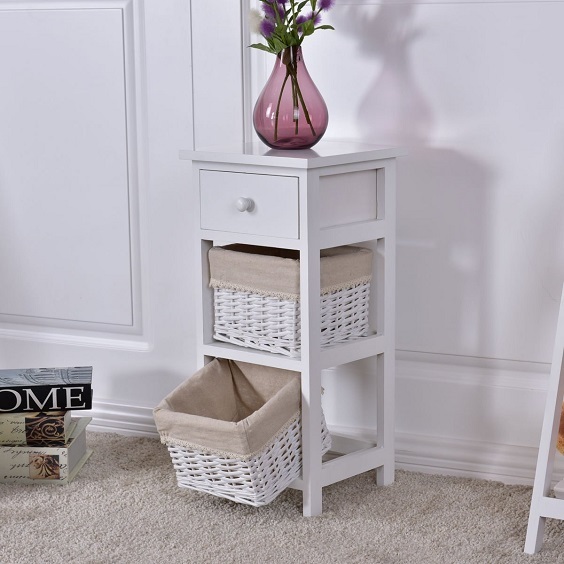 Another side table with wicker basket that you can add to your shopping list. The table and basket are both finished in white which will brighten up your bedroom decor beautifully. As the bonus, you will also get a small drawer for extra storage station. The wood and wicker material of this furniture is quite pleasing. It feels sturdy which tells a lot about its durability and reliability. You can buy the Bedroom Wooden Bedside Table by Costway by spending $56.99 on Overstock. 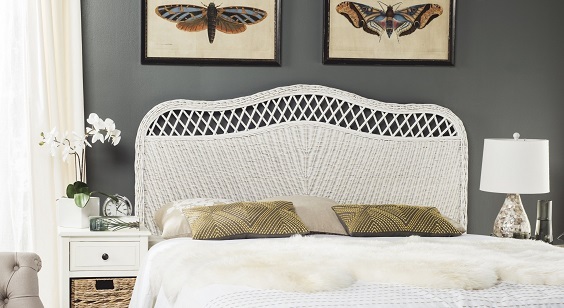 The detail and ornament of this wicker bedroom furniture makes it look so fabulous. The panel with woven wicker and rattan poles are combined gorgeously, creating a traditional overall look. Moreover, the finish looks so rich that will give a very elegant touch to your bedroom decor. The set is crafted of wood and wicker with leather rope in a high-grade quality which is so worth for its price. You will get 1 bed frame, nightstand, dresser, amd mirror in the package. To purchase the Lamont Complete Panel Bedroom Set by Bay Isle Home, you have to spend $2,499.99 (on sale) on Wayfair. As the name suggests, this wicker bedroom furniture is a good option for you who have a limited space. It suits well for a small bedroom to become an additional storage station. 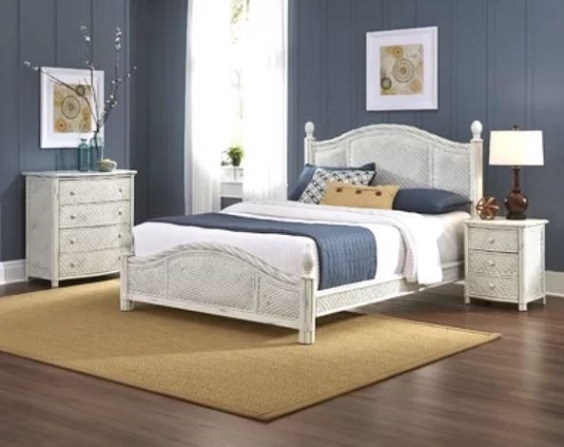 It comes with 1 drawer in beadboard style and white wicker basket which makes it perfect to decorate a bedroom with nautical decorating style. The side table is made of paulownia wood which feels so durable and reliable. It’s surely a compact wicker bedroom furniture with a pleasing quality. Available on Amazon, the Mini Nightstand with Drawer and Wicker Basket by Giantex is offered at $41.99. 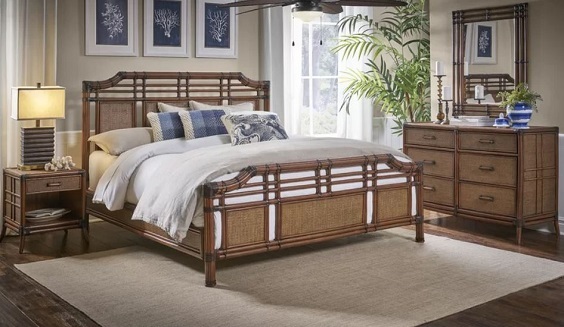 This wicker bedroom furniture set combines natural, traditional, and modern style in one design. The bedding comes in clean-lined design with panel headboard made of woven wicker. Then, the dresser and nightand is designed in a more classic look with curves and vintage hardware. The main material that builds up the construction of each piece is manufactured wood with natural wicker as an addition to the bedding. You will totally love the quality of each material which makes it reasonable for its price. You can find the Payton Platform Configurable Bedroom Set by Canora Grey on Wayfair which is offered at $3,189.97 (on sale). A stylish wicker bedroom furniture which will add a touch of Asian beauty to the room’s decor. It’s a chest with 3 chubby drawers which will arrange tons of your bedroom stuff neatly. It comes with caster wheels which make it so practical to move anywhere as you wish. The materials that build up the construction of this furniture is fiber which wraps the wood frame. Though it feels lightweight, it has a pleasing durability which is so worth for its price. To purchase the Natural Fiber Chest of Drawers by Oriental Furniture, you only have to spend $62.59 on Amazon. A gorgeous headboard which will totally enhance the beauty of your bedding. It’s designed attractively with its wicker texture and lattice accent in white finish. It’s a good addition which fits well both for modern or traditional decor. The quality of its materials is not disappointing at all. It feels durable and reliable to decorate your bedding for years. You can get the Sephina White Rattan Headboard by Safavieh by spending $185.99 on Overstock. A gorgeous wicker bedroom furniture which is a perfect option for you who love rustic decorating style. It’s a dresser with distressed wood finish which comes with 4 wicker baskets. It’s designed in vintage style to enhance the beauty of your bedroom decor. The wood construction of the dresser feels so well-made which ensures its durability. You will be totally pleased with the quality of this wicker bedroom furniture. The Wood 4 Basket Dresser by Deco 79 is available on Amazon which is offered at $169.99 (on sale).